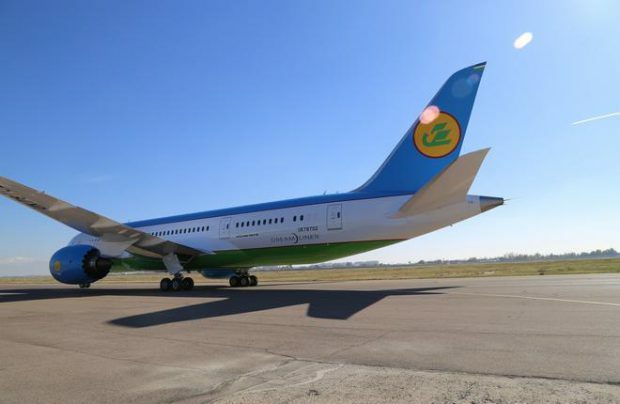 In 2016, passenger traffic of Uzbekistan Airways decreased by 2.8% to reach a little over 2.5 million people, the Novosti Uzbekistana reports with the reference to the country’s president Shavkat Mirziyoyev. The country’s flag carrier has been loosing passengers for several years in a row. No precise stats on the company’s international and domestic operations have been available so far. In fact, Uzbekistan has 11 active airports (all of them having an international status) while the airline itself serves more than 20 international destinations. The overall annual decline in airline’s passenger traffic turned out to be milder compared to Q2 and Q3 figures. Particularly, in January-June 2016 the number of Uzbekistan Airways’ passengers dropped by 4.7% whereas in January-September the drop was 5% sharp. The operator’s cargo traffic in 2016, on the contrary, grew by 2.9% and comprised 43 thousand tons. In 2015, it fell down by 2.0% whilst the company’s cargo flow dropped by 2.8% down to 41.8 thousand tons. The Uzbek carrier introduced all-new wide-body Boeing 787-8 to its fleet last year. As of today, it operates two aircraft of the type with four more Boeing 787s of the same modification ordered. Apart from Boeing 787s, the Uzbekistan’s national carrier flies two-aisle Boeing 767s, as well as narrow-body Boeing 757s, Airbus A320s and Ilyushin Il-114s regional turboprops.